Hundreds of members of the Church of Jesus Christ Latter Day Saints (The Mormons) were out in force on the Carlsbadistan seawall this morning (Saturday, April 30, 2011) helping to remove invasive plants, pick up trash, and spruce things up. 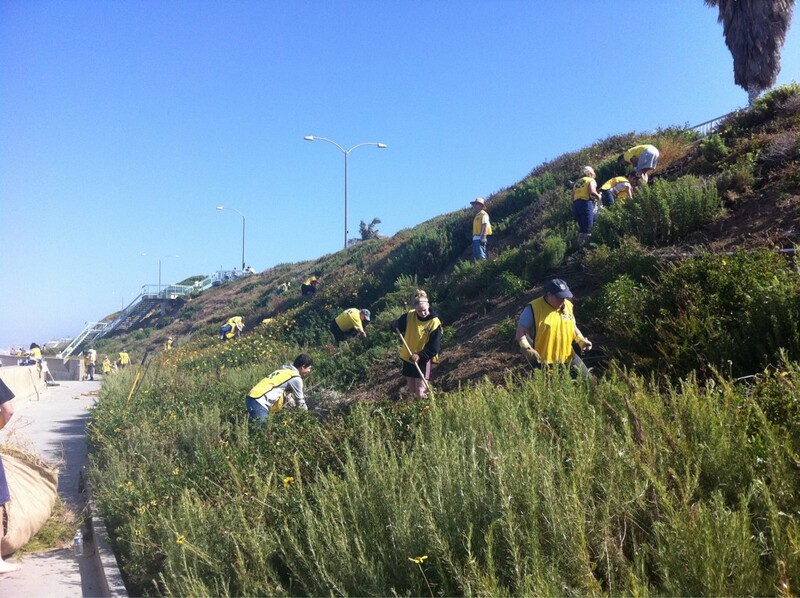 The work is being done as part of the Mormon Helping Hands program. Mormon Helping Hands is a Church program for providing community service and disaster relief to those in need. This program which is operating successfully in Latin America, Africa, Asia, Europe, the Pacific, and the United States. . . The Mormon Helping Hands program was officially established in 1998, and since then hundreds of thousands of volunteers have donated millions of hours of service to their communities. Thank you very much. Carlsbadistan is very lucky to have your help. Wondering about how you can get the latest news from the City of Carlsbadistan? Wonder no longer. Rachel McGuire has the scoop. 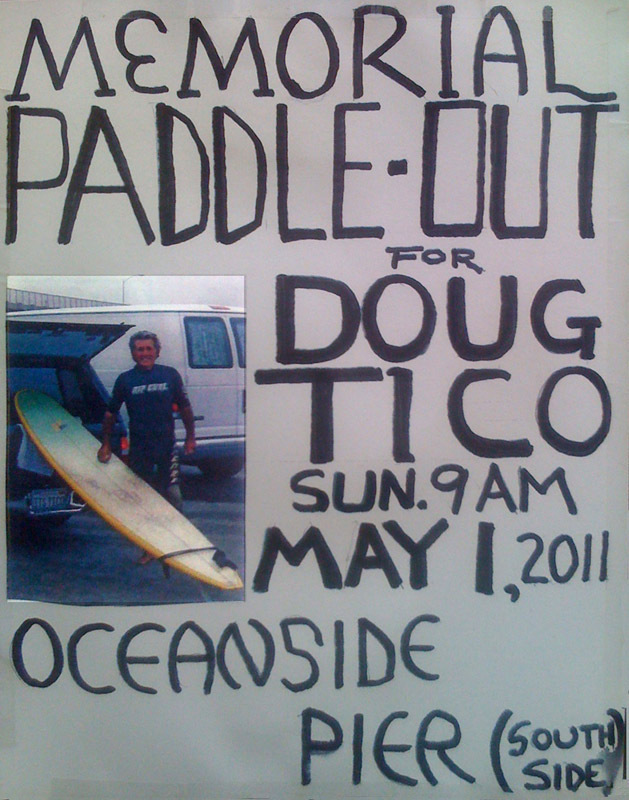 A memorial paddle out for longtime Carlsbad surfer and lifeguard Doug Tico will be held Sunday May 1, 2011 at 9 AM on the South side of the Oceanside Pier. Carlsbadistan’s Haley Allen has been banging on the drums she was 9 years old, but now the 22 year old says she’d just like to earn a living playing music, according to a story in the San Diego Reader. Nice to know of one more person in Carlsbadistan who can keep the beat. Click the link for the rest of the interview. One really good reason to never drive south of Ponto on Historic Highway 101. Happy Earthday! The City of Carlsbadistan’s annual spring festival EGGStravaganza is Saturday, April 23, 2011. 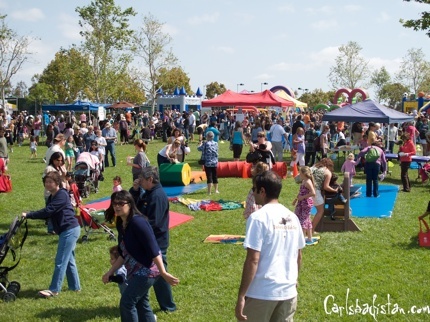 It is a great way to spend the day with the family at Poinsettia Park at 6600 Hidden Valley Rd. in Carlsbad. The festivities begin at 10 AM and feature egg hunts, bouncy houses, facepainting, crafts, cupcake decorating, and photos with the Bunny. Click here for photos from last year and then click here for all the necessary information. Previews begin tonight (April 20, 2011) for New Village Arts Theatre’s west coast premiere production of Scott Hudson’s Sweet Storm. In 1960 Florida, during a approaching storm Ruthie and Bo, two newlyweds, enter their honeymoon suite in the sky: a treehouse which is a romantic gift from the young groom to his bride. Yet Bo’s expectations of living happily ever after in the sky are soon grounded by Ruthie’s realization that marriage comes with many unforeseen – and frightening – challenges. The two lovers struggle to fortify themselves against forces both inside and outside. This is a funny, powerful, and intimate love story to challenge our perceptions of marriage, faith, and love. 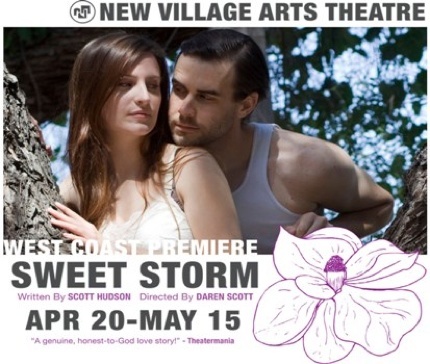 The production features NVA Ensemble Member Adam Brick with Kelly Ivernsen. Pay-what-you-can previews run April 20 through 22, 2011 at 8 PM. Click here to buy tickets. Opening night April 23, 2011. Click the link for more info. The City of Carlsbadistan has apparently gone all high-tech, science fiction in making sure that our city’s 337 miles of paved roads are in good shape. A man who walked onto the railroad tracks near the corner of Grand Avenue and State Street died after being hit by an oncoming train on Sunday, April 17, 2011, according to a story in the San Diego Union-Tribune. The incident happened shortly after 7 p.m. Sunday . . . No details about the man or why he was on the tracks were immediately available. Very sad no matter what the reason.